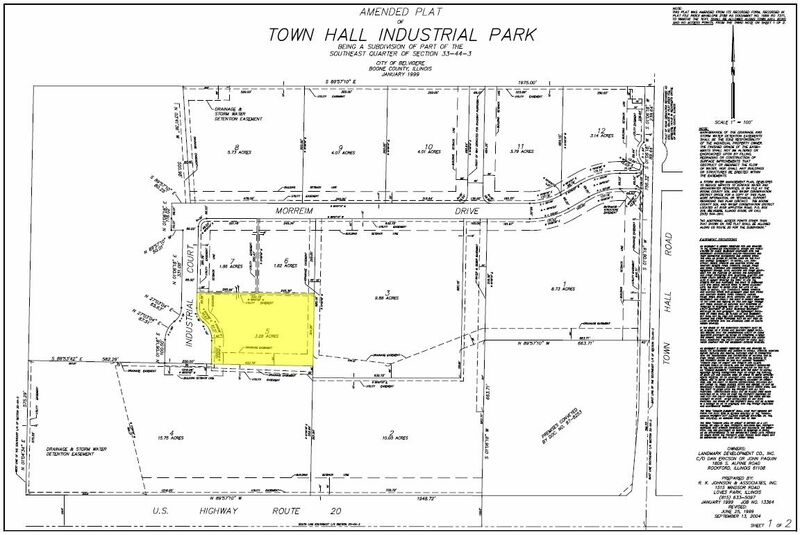 3.28 ac, heavy industrial land site available for sale or build-to-suit. Development is adjacent to Highway Rte 20 in Belvidere and has convenient access to I-90/39 via Genoa Rd and Irene Rd. Enterprise Zone benefits include 0% sales tax on all construction materials and property tax abatements of 80% yr 1; 60% yr 2; 40% yr 3; and 20% yr 4 on all improvements.